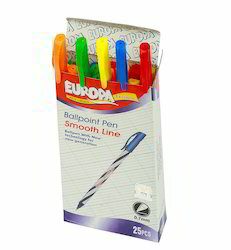 These are direct fill ( use & throw ball pens ) widely used all over the world. Very competitively priced & branded as per customer requrements & packing style. Quality : made to International standards, non-drying ink & continuous flow, non-leak proof. 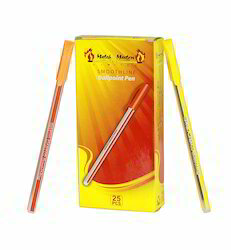 These are direct fill ( use & throw ballpens ) widely used all over the world. They are very competitively priced & branded with our company. Packaging : 50 pc in a printed box chanco smoothline embossed. 4 Such multicolor cartons chanco smoothline of 1000 pc each in a big brown master carton. Total qty per master ctn : 4000 pcs. No of master cartons in 40 ft hq is 950 ctns. Quality is made to international standards, non-drying ink & continuous flow, non-leak proof. 1 x 20 ft container takes 15,40,000 pieces. To furnish the diverse requirements of our clients in the best possible manner we are involved in offering an extensive range of Direct Fill Pens.